On any given day, at nearly every hour, browsing the channels of Korean TV is akin to peering into an archaic kaleidoscope of weathered men holding onto a dissipating thread of relevancy, while continuously demeaning, mocking and belittling the status of women. Women are the majority of Korea’s population, but you would be hard pressed to believe this after flipping through the channels of Korean TV. The lack of female representation and the manner in which women are portrayed highlights the male dominated axis of broadcast executives. As I enter my 4th year residing in Korea, I have marveled and written extensively about my deep admiration for the country’s modern advancements post war. Yet, when it comes to women’s equality and rights, not only does Korea fall behind globally, 118th in gender equality, ( between Tunisia and Gambia ) it’s clear the roots of misogyny stem from an antiquated male hierarchy. It’s abundantly clear by the programming and hiring of casts that the executives leading the country’s national TV stations are not only men, but individuals with little regard to global issues of gender equality. On numerous occasions I have been outright stunned at the direct misogyny broadcast into Korean homes. On family channels, male hosts will encourage women ( some just out of high school ) to perform provocative dances, demonstrate their aegyo ( baby voice ), and ask deeply sexist questions to talented figures of the Korean community. Below, I highlight key examples of major Korean television shows that push forward misogynistic frames cloaked in purported humor. The setting of this show takes place in a high school where an All Male cast invite guests from various fields of entertainment and society. Routinely, guests are current and former female KPop idols and when invited, must wear a school girl outfit. The uniforms are short, revealing, and does not reflect the actual academic dress code the show attempts to abide by. Female guests then go through a litany of ridiculously demeaning and offensive tasks that in no way highlight the professionalism they deserve. Many are asked to dance provocatively as the male cast openly gawk and shout in delight. Some of these male hosts, Kang Ho-Dong and Seo Jang Hoon, are in their mid 40s, as they ogle and holler like teenage adolescents while watching women half their age perform on the show. The lack of class and genuine professionalism for their guests is not only on full display, but a laugh track is continuously played as if the act of demeaning women was entertainment. Infinite Challenge is the most watched (non-drama) program in South Korea. The format consists of an All Male cast performing a series of extreme challenges throughout various locations in Korea. While they host occasional female guests, the full time cast is again, All Male. While the show aims for comedic relief, it does so at the expense of their female guests. Often times deriding them and having them accomplish tasks that fit outdated gender roles. Park Shin Hye (above) is a deeply respected and admired actress in Korea. Her range and depth in various roles have been recognized globally, and is an icon of the Asian entertainment industry. However, during her appearance on Infinite Challenge, the All Male cast reduced her talents to a disparaging cheerleader ‘audition’, and pushed her to perform for them as they gaped in joy. The All Male cast gawking at Actress Son Ye-Jin — Why does she need to twirl for them? The greatest challenge this show seems to face is the ability to treat women as an equal. KPop Star is a reality show that replicates the US hit, ‘American Idol.’ The format of the show is a global competition to identify the next potential Kpop stars. 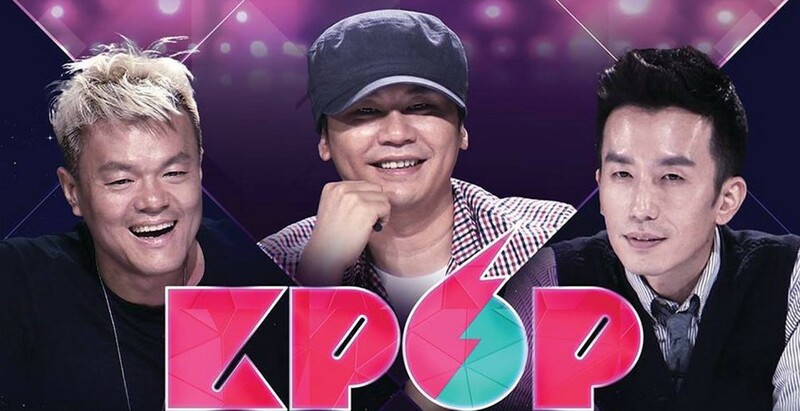 Again, an All Male judging panel, consisting of Yang Hyun-suk (YG Entertainment), Park Jin-young (JYP Entertainment), and Yoo Hee-yeol (Singer /Songwriter) gather to judge contestants without a single female representative. KPop is an industry dominated by female groups, and yet the absolute lack of a female judge on the panel is a bold indicator of the depth in which a woman’s presence in a seat of power is throttled. The episodes are at times cringe worthy, as the male judges hoot and holler while young females audition for them. A lack of class and mannered civility is on display repeatedly, and yet, these judges are commonly admired with no regard to their primitive behavior. It’s horrifying to think young women are being judged from someone that has leveraged his career on the objectification of women. There’s absolutely no excuse for not hiring a female judge, and the executives of this show have demonstrated there lack of respect for not only the contestants, but the national audience viewing from home. The format of ‘Non Summit/Abnormal Summit’, a widely viewed show in Korea, brings together an All Male cast of non Koreans from various countries to discuss issues ranging from cultural differences, business/political issues, and current global trends using the Korean language. The show’s premise is one that is genuinely needed in a country as homogeneous as Korea. Each episode provides the national audience a diverse range of perspectives that many Koreans would not otherwise be able to hear. However, in nearly 4 years of broadcast, the show has failed to hire a single female cast member, thus denying women a permanent seat at the table. A symbolic error that reflects the male dominated Korean Hierarchy in which women very rarely, if ever, get a seat at the executive table. Of the top 5 Korean companies, Samsung, Hyundai, LG, Kia & Posco, not a single female sits on the Board of Directors. Not a single one. Korean board rooms, as is this show, are a male summit. Just another Korean Cast of ALL Males. 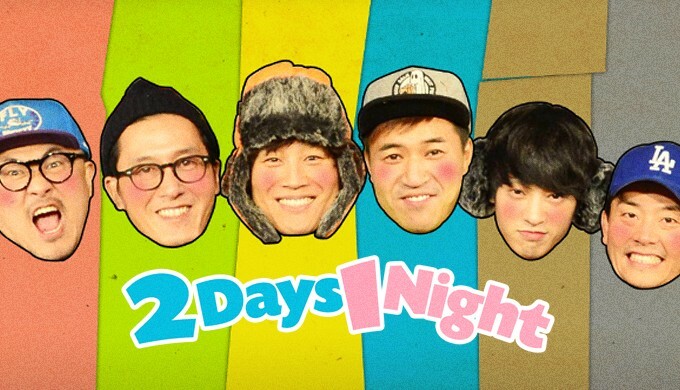 A reality show with high viewer ratings, 2 Days & 1 Night is a travel show that highlights various places to visit in Korea. 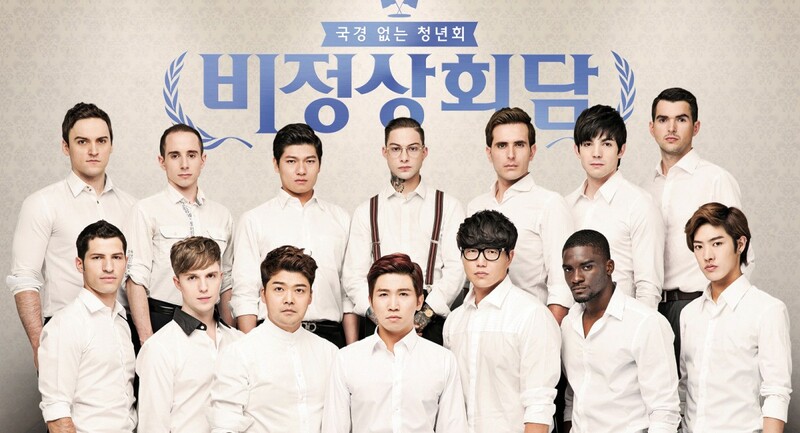 The show’s All Male cast take trips throughout South Korea and perform challenges to earn rewards. 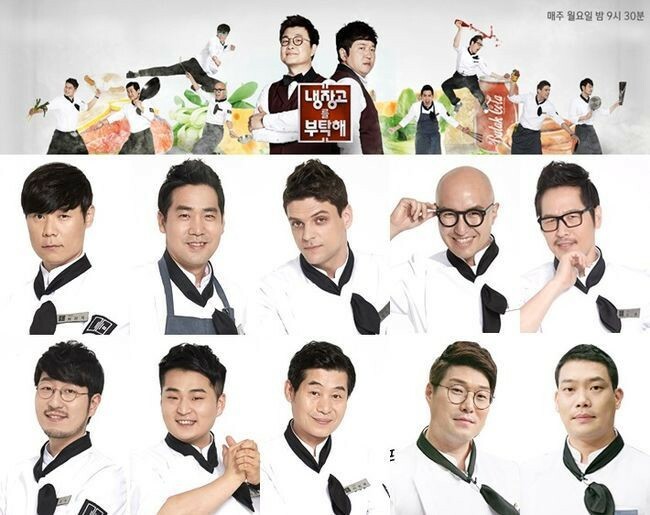 Many of the cast members are recycled from other Korean television shows and similar to other formats, frequently invite female guests from varying fields of entertainment. Often times the female guests are subjugated to juvenile tasks, such as feeding cast members ramen or dancing for the men as they bellow in preadolescence glee; all for comedic relief. Women travel as well, but apparently the show producers failed to recognize that both genders have the ability to visit beautiful places in Korea. Cooking show. AGAIN.. an All Male cast. Not a single full time female cast member. No explanation needed. The number of male dominated shows in Korea is depressing..
Television in no way raises a child or curates their beliefs, but it can play a role, however small, in shaping the perspective of what is normal and accepted in society. When a generation of young Koreans view males dominating conversations, asking irrelevant sexist questions, and requesting women to perform dances for their own inherent pleasure — without it being challenged, the imprint this may leave on a rising wave of both male and females leaders, is that this type of behavior is accepted. It isn’t. Nor will it ever be. We are a better culture, society, and Nation than that. One that has always strived to treat others, despite gender, age and socio-economic background, as equal. The lack of female representation on TV is a relic of a cultural sore, in which the fundamental structure of Korean society placed an unnecessary ceiling on the heights of female achievement. We need to ensure that those days, those systematic barriers, are torn down. In order to do the monumental things, we need to acknowledge the small things. Will we one day pass Korea’s first National Equal Pay Act? Will we one day pass Korea’s first Anti-Discrimination Bill? But in order to tackle the larger erected walls of misogyny in this country, we must at first, be willing to be honest with ourselves, and accept that even the most beloved shows in Korea are in need of massive change. It’s time to demand better quality programming and boycott television stations that pummel our homes with misogynistic, degrading and discriminatory content. It’s time to demand for gender balanced casts, and that begins by hiring more female executives at Korean Broadcast Companies. It’s time for Korean actors to recognize and fight against gender discrimination, and walk away from shows/movies that don’t pay equally or treat female cast members with respect and integrity. It’s time for show hosts to take female guests seriously, and rather than ask elementary questions, inquire about their true, honest, perspective on a range of relevant topics outside the scope of male teenage dreams. We owe future generations the ability to start these types of movements, however small they may be, to ensure that the default programming in Korea, and the culture we put forth to a National audience, reflects our population; female led. Women are not tools for comedic relief, they are the fabric that has kept this country alive.